If you have not played Go before and are interested in finding out how to, with the aim of introducing Go to your school, then buy a Go Evaluation Pack. 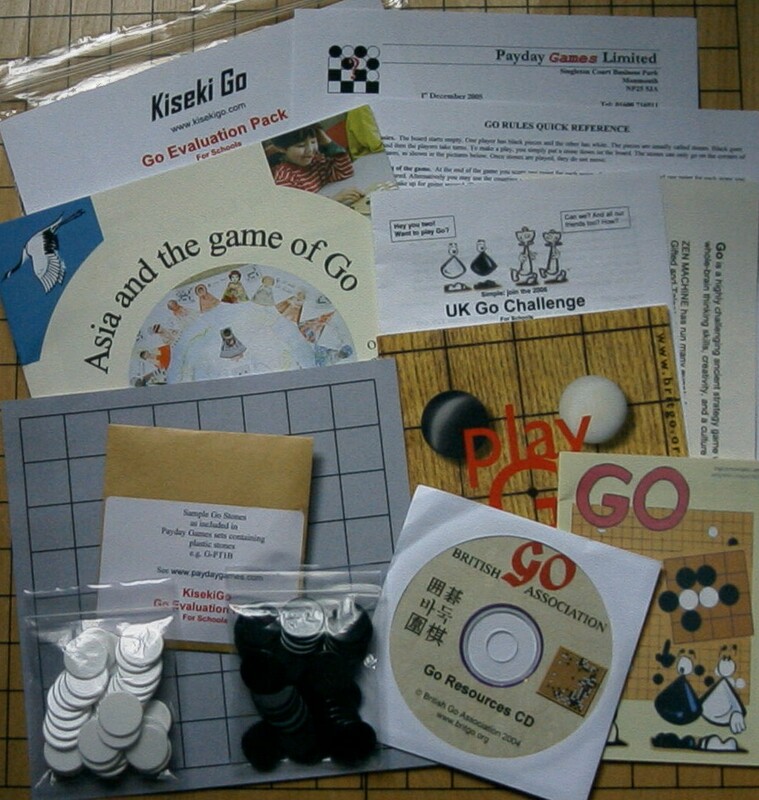 The Go Evaluation Pack has been developed by KisekiGo on behalf of the UK Go Challenge. 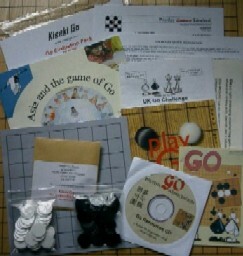 The Go Evaluation Pack contains Go instruction leaflets and Go equipment so you can try out Go yourself. It is designed for use by school teachers, but can be used by anyone who has in mind teaching Go to children. You can buy the Go Evaluation Pack for only £5 including postage and packaging, in the UK only. Note: Limited stocks only are kept - 13 remaining. The BGA Go Resources CD rom (as in illustration) is no longer available. KisekiGo, 37 Courts Road, Earley, Reading, RG6 7DJ. UK only. Of course the best way to learn about Go is from someone else, so we recommend you have a course or workshop from KisekiGo, or a visit from another Go teacher such as ZenMachine or a visit from the BGA's regional volunteers, or you could even drop in at your nearest Go club or tournament.